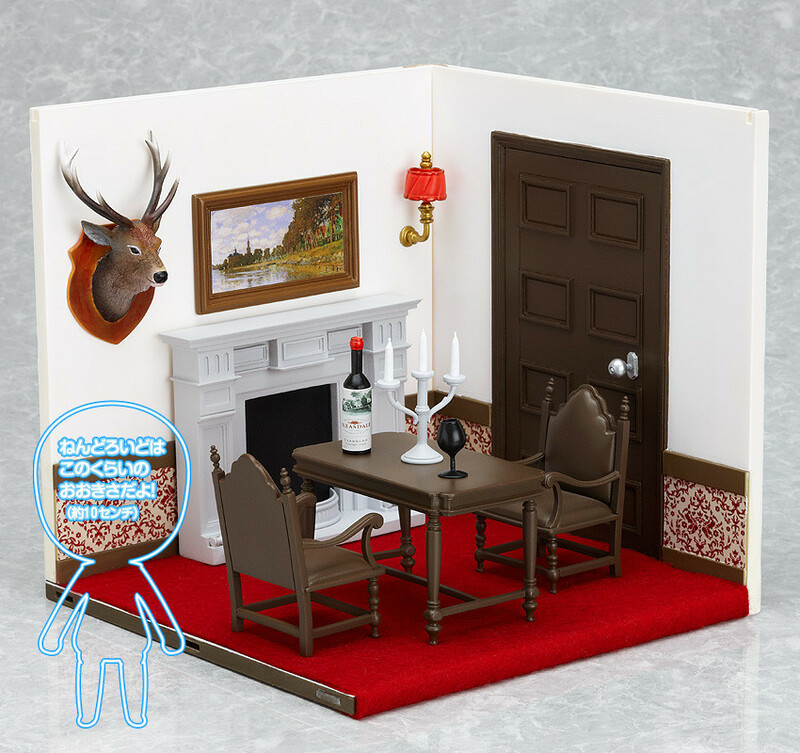 A rerelease of the elegant dining room for your Nendoroids! The door can open and close, and the included carpet is made from felt and can be stuck on however you wish. 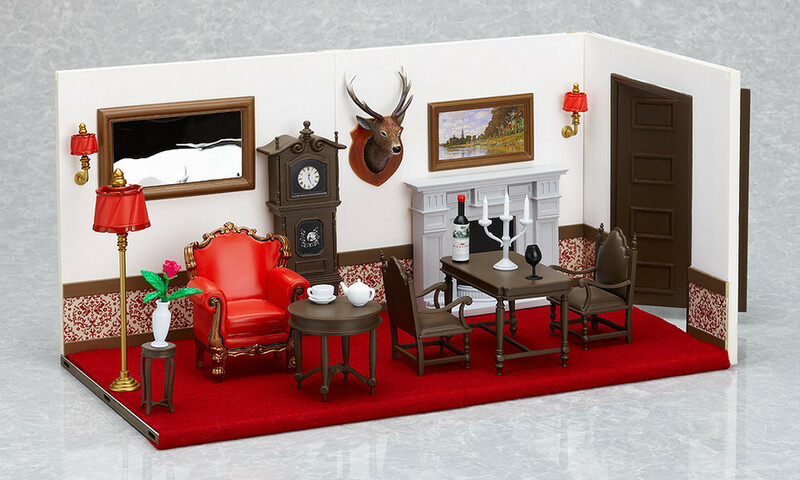 A variety of high quality, Nendoroid-sized items including a dining set, a fireplace, stuffed animal display and a beautiful painting are all included to give your Nendoroids a classy home.